Easter is on it’s way and when the sun rises in two days, the boys will be up looking for eggs. (yes, I’m keeping this religious-neutral and everyone is welcome to celebrate whatever meaning Easter has to them.) This morning was the balance of answering email, preparing posts, working on editing, and helping my wife make sure the kids had fun with the eggs. I can remember being a child and thinking it was so cool that the eggs were changing color in this magical mix of liquid. This morning actually consisted of two boys dying the eggs and the youngest one smashing them into the table and eating the shells. Hey, that’s how you learn not to eat shells. Although I had a ton of work to catch up on, it’s important to learn to shut it off for an hour, be completely present with the kids, and photograph the Easter ritual. After all, the work will still be there. 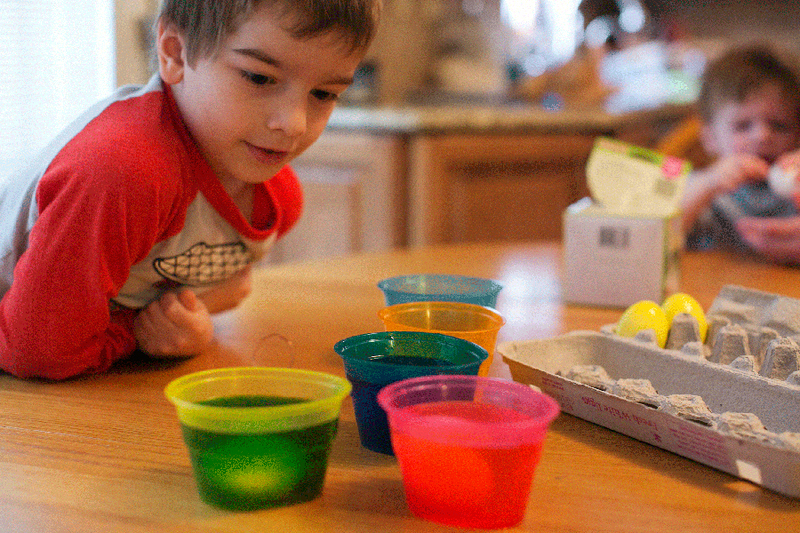 The egg dying is once a year and I want to see our kids smile, design their eggs, and maybe splash a good bit of dye all over the place. It used to be a struggle to separate myself from work, be present as a dad, and then go back to work. Honestly, it’s taken about two years of consistent effort, but I’m finally able to switch my mind from one activity to the next. And I love being able to soak in the memories with the kids. In 20 years, I’m going to be happy I took time to be there.